There’s no better time for merriment and libations than Saint Patrick’s Day. 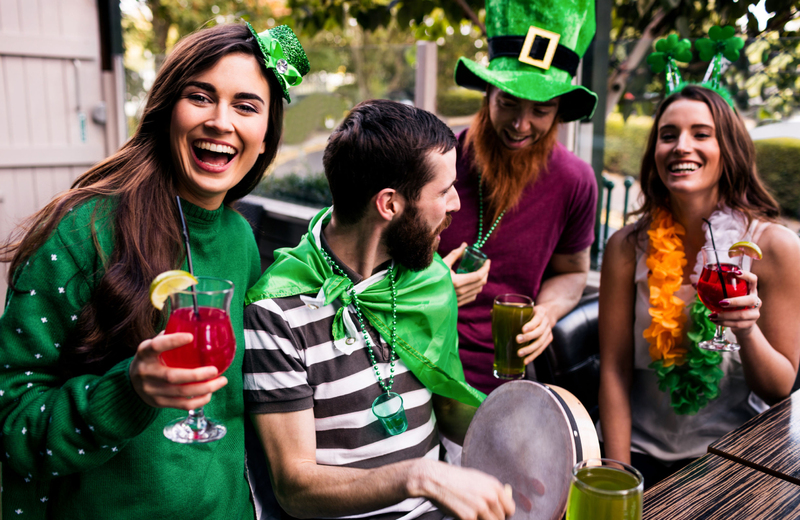 The holiday needs little introduction, as it’s well-known across the nation and just about everyone has participated in some kind of Saint Patrick’s Day festivities before. There’s one very particular event, though, something exclusive to those who rent apartments in the Bay Area, that might require some further exploration. We’re talking, of course, about the Saint Patrick’s Day Brew Crawl. This year, it’s going to be transforming downtown Pleasanton into a veritable beer paradise, and if you’re the kind that loves to sample new brews, you’re not going to want to miss this one for anything. What Is The Saint Patrick’s Day Brew Crawl? The Brew Crawl takes place on March 17th, from 5:00PM-8:00PM, and was organized by the Pleasanton Downtown Association. They’ll also be selling a limited number of designated driver tickets for the event, at $10/ticket, so make sure to grab one if you’ll need it and enjoy responsibly. Just what varieties of beer will they be bringing with them on March 17th? Let’s take a look at a few of the participating breweries to get a better idea of what they will have in store. Here are just a few of the participating breweries and the awesome beer they will be bringing to the Brew Crawl. Their cider comes in four different flavors: Gravenstein, Treeo, Sour Apple, and Pink Lady. They all come in 22-ounce bottles, and, by most accounts, are rather delicious once you tip the bottle and take a taste. Hailed as the best German-style beers (with an American finish) in the Fremont area, Das Brew is owned by Jan and Priscilla Schutze, who learned how to brew from his grandmother back in Germany. The Das Brew lineup includes more than 20 beers, each of which has a different shining attribute that makes them taste great. The Buxom Blonde Ale, for instance, is “fermented at cool temperatures and cold-stored and aged for about two months.” This results in a beer that is “subtle, with a light, grainy Pilsner malt aroma and flavor.” They say there’s a “grainy malt sweetness up front, but it has a crisp finish so that it never really seems sweet.” For fans of lower alcohol beer, this is an excellent choice. Then there’s DasBock, a spring seasonal lager made with Pilsner and Vienna malts and Saaz hops. This provides both bittering for the brew and its unique aroma. Combined with the specialty lager yeast and 2-months of cold -aging, this results in an authentic, German-style MaiBock. It’s rich in flavor, has that continental European pale malt appeal, and a subtle, peppery quality that enhance the flavor profile. For fans of beer with a bit more kick, this is definitely the way to go. But their experimental forays into creating beer actually worked. Setting up shop in an old building in downtown Eureka, they’ve been putting out great beers ever since their first brew, the Great White, found success. Their lineup includes some 11 varieties, many of which adhere to some creative theme that inspired their creation. The Indica IPA, for instance, was created with the “true beer lover in mind.” It has a high alcohol content, but is “balanced nicely with the radical bittering from Columbus hops.” With a generous amount of Willamette and Centennial hop flowers to boot, they’ve achieved a nice “hop finish” that tastes great. Another example is their Sharkinator White IPA, a “hopped up” version of their original Great White. This beer, they promise, is “bigger and much, much bolder,” combining Cascade, Crystal, and Citra hops that provide a “wonderful citrus aroma and a nice hoppy finish.” Ideal for those that want some kick to their brews. Remember, those are but a few of the breweries that will be represented at the Brew Crawl, and the bulk of the Bay Area’s finest will be in attendance. Of, course, in order to marvel at such master beer works, it pays to live in great communities like Vintage, who make relaxing near historic downtown Pleasanton a true treat. With spacious floorplans and the most luxurious amenities, residents here experience nothing but the best. Check it out today, and see what Vintage has to offer for your new lifestyle in the Bay Area.